A 35-year in the making collaboration from Sun Palace, veritable legends of New York hotspots like The Loft and Paradise Garage, and Quadrant 77 aka James Reeno. Press release calls it ‘an early adventure in organic/electronic jamming fusion’. I call it blissed-out keys, stunning mazes of percussion and Larry Heard-esque synthesizer arpeggios. Like messing around with a drum machine, loop pedal and DIY mixer while your mates roll off the funk business on their strings. This new Sun Palace & Quadrant 77 is an essential release for the chiller sort of disco heads, perfect music for warming up, cooling off, sunrise or vice. 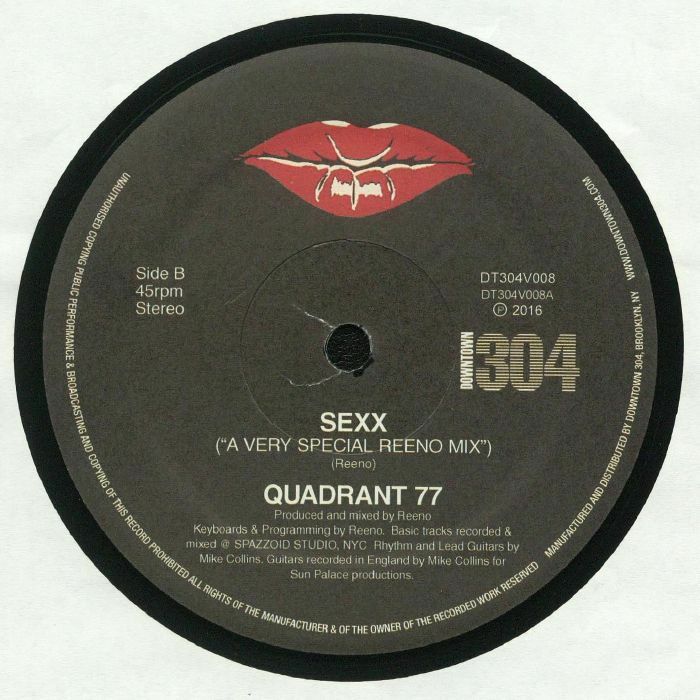 Sexx It Up comes on digital or on a sleek black 12″ disk via Bandcamp. Limited to 300 copies- pick it up now to glide into 2018 like its 1983.